As well as helping your business relocate to new offices, we’ll also clear out the old one for you, too! Fox Moving & Storage operate a dedicated office clearance service throughout Wales and office clearance services the rest of the UK, so whether you need an entire office cleared and its contents disposed of, or just one or two items, we possess the expertise and experience that you need. And we’ll do it at a great price, too. In fact, we take great pride in the cost-effectiveness of our service, because unlike many of our competitors, we factor the resale value of your items into our prices. As a result, we’re far more cost-competitive than many other office clearance specialists, who merely take your items away and dispose of them. As part of the service, we’ll also allocate a dedicated project manager who will oversee the entire process for you, from office clearance, cleaning, legislation and compliance, to waste disposal, asset valuation, sales and recycling. And we’ll do it all at the lowest price, the quickest time, and at minimal inconvenience to your business. Furthermore, you needn’t worry about the safety of any of your sensitive data. Our office clearance services include a data destruction service, whether it’s on paper or PC, so you can rest assured that your private information is completely secure. And what’s more, because we recycle and resell many of the items we clear, we not only keep the costs down for YOU, but also for the environment. Indeed, the team at Fox are very conscious of our responsibility towards the environment, and attempt to reduce waste and preserve resources as much as we possibly can. 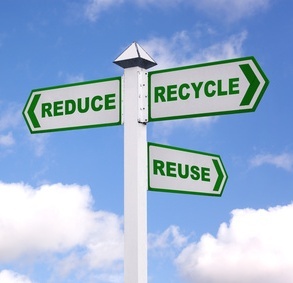 Consequently, we’re fully committed to recycling and re-using the items we clear. So whether it’s old furniture such as chairs and desks, surplus stock, redundant files, old electrical items or IT equipment, we will sell or dispose of your office items in the most environmentally responsible manner. And not only will your office be cleared out ethically, and in full compliance of all UK and EU directives, we’ll also make sure that they achieve the highest rates of recycling and re-use. That’s right! We can also help you to move offices via our commercial removals service, and if necessary, store your belongings in our storage or self storage facilities, which are located in Bristol, Cardiff, Cwmbran, Newport, Southampton and Stourbridge.